Steven Stamkos' recent milestone moment will go down in the books as a distinguished individual accomplishment, but that's not how the two-time 50-goal scorer sees it. Tampa's dynamic 22-year-old superstar scored twice to reach 50 in a season for the second time in his career, a home game that saw the Tampa Bay Lightning cruise to a 6-1 victory over the Boston Bruins, the team that knocked them out of the playoffs last season in their seven-game Eastern Conference final pairing. With his 50th tally, Stamkos became only the sixth player in league history to score 50 goals twice before the age of 23. For his teammates, it was a genuine thrill. said linemate Teddy Purcell, in an interview with NHLPA.com the day after Stamkos' accomplishment. “It means as much to his Tampa Bay teammates, too. It was Purcell who fished the puck out of the net and despite being the last player on the ice to join in on the post-goal celebration; he made certain he was part of it. 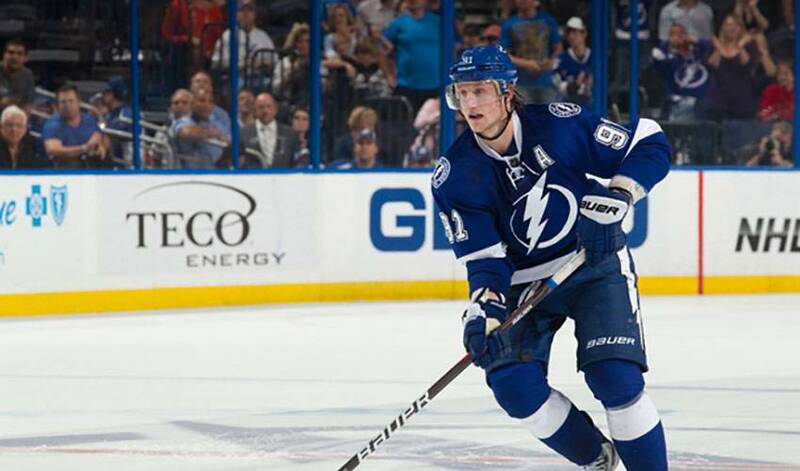 Stamkos, an alternate captain for the Lightning and the first overall selection of the Southeast Division squad in the 2008 NHL Entry Draft, made sure he recognized his teammates after the final buzzer sounded. Purcell is hoping they can use Stamkos' 50th as the catalyst to turn around their disappointing season. After missing out on the Stanley Cup Final by just one game in 2010-11, Tampa is fighting to simply make it back to the post-season. “We wanted to carry through how well we played last year into this year, but for whatever reason, it wasn't happening for us,” said Purcell, who had 51 points last campaign, before recording 17 points, including 11 assists, in 18 playoff contests. “I hope we can use this as motivation to play hard the rest of the way. It's an attribute Purcell sees in one of hockey's top offensive talents. Which is precisely what Stamkos has for those who played a part in his latest big-league milestone.